Oh, wait - is it not spring yet? That must be why there are still icicles out the window. Harumph. Well, we have quite a spring schedule ahead of us! March is absolutely packed full of excitement, and we’re thrilled to be able to share it with you all! Our big news is that we’re going to be hosting a recurring event at Conroy’s Westwood, on the last Wednesday of each month. We’ll start with a short set, and then open up the mic and invite friends to share their music. We love Conroy’s - it’s been a home away from home for us when we’re in the mood for a beer and really good food. (Might we recommend the chicken fried chicken, irish curry, or a stellar mac & cheese?) We’ve got dates scheduled through the end of October, and we’re excited for it to be a success! We’ll be back at The Mockingbird for a Songbird Sundays again on 3/10; we’re starting the busiest week of our music lives, revisiting Ryan’s in Tonganoxie for a reprise on Sunday 3/24 (and no competing Chiefs game this time around! ); the first open Mic at Conroy’s on Wednesday, then a pop-up concert with some friends at Hook Gallery in Westport on Friday; and finishing up with an afternoon at Bar K Dog Bar on Saturday. Whew! We get tired just thinking about it, but it’s gonna be so fun. We hope to see you out at one or more of the events that week! Still one of our favorites, join us for a night of music (opening act TBA) and some of the best cocktails in town by our favorite Sunday night bartender, Micah! Music starts at 8:00! We’re looking forward to being back at Ryan’s! If you haven’t made the trip out to meet the lovely owners, and their lovely rooster, you simply must make the trip. Not too far out of Kansas City (about a 15 minute drive from Legends) they’ve got a great little community for a Sunday matinee show (4-6)! This is the inaugural event for our last-Wednesday open mic night we’ll be hosting at Conroy’s Westwood. They’re at 47th & Rainbow, with ample parking, great beer, and a fantastic food menu. Bring your own music, or come & enjoy the tunes of a variety of local musicians! See you there! We’re taking over Hook Gallery for the night, for a pop-up show! We’ll be playing with Erin Eades and Rigby Summer (you may know her as ‘summerland’ prior to a recent rebranding). There’s a $10 suggested donation at the door, but we’re asking folks to only give as they’re able. We want this to be a cozy, community event! Bring your dogs! Drink some beer! We’ll be out on the patio (if the weather cooperates) with an afternoon show, complete with dogs romping around, and possibly singing along with the harmonica. We’ll play rain or shine, but the time may shift to accommodate, or we may move inside. Either way, it’s sure to be a helluva good time with our furry friends! 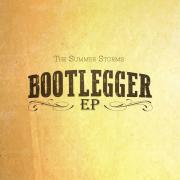 If you haven’t checked out our EP yet, Bootlegger, you can find it on Spotify, or drop us a message if you’d like to get your hands on a physical copy! You can also find us on all major music streaming sites. If you’re a Spotify user, we’d really appreciate it if you’d follow us on Spotify, it really helps rack up magical internal points that make life worth living. And of course, you can always follow us on Facebook and BandsInTown to keep up with us! How have you been? We’ve had a really exciting winter winter so far. We released our first ever single, Hole in the Bottom of the Bottle earlier this month. 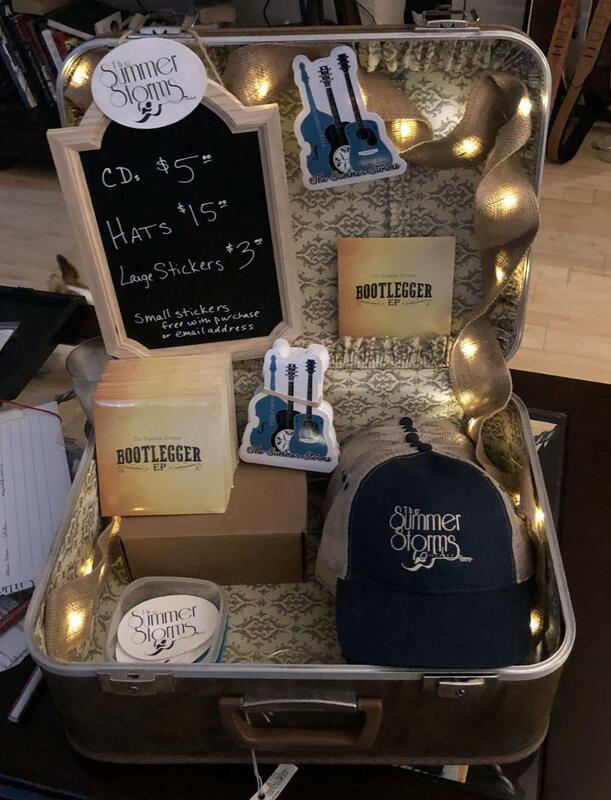 We had the opportunity to join The N!te Owls for their CD release party on the 17th, and we’re releasing our first disc, Bootlegger EP, on December 15! We’re all pretty excited about it! You can hear our single now, on most streaming sites. If you use Spotify, you can find us here. It would be helpful to us if you’d click the “Follow” button on our Spotify artist page. It helps our numbers, and you’ll hear about new releases as we send them out. If you don’t use Spotify, you can find us pretty much everywhere that streams music. If you’re in town, we’d love to see you at our EP Release Party! We’re inviting all our friends (that means you!) to The Mockingbird Lounge in Strawberry Hill on Saturday, December 15th, where we’ll be debuting some pretty sweet merch, along with the EPs! Please come out and join us for a really fun night with our good friends The N!te Owls, Wyatt Brewer & Sarah Lynn. Please join us for a special evening at The Mockingbird Lounge, our home away from home in Strawberry Hill, KCK! 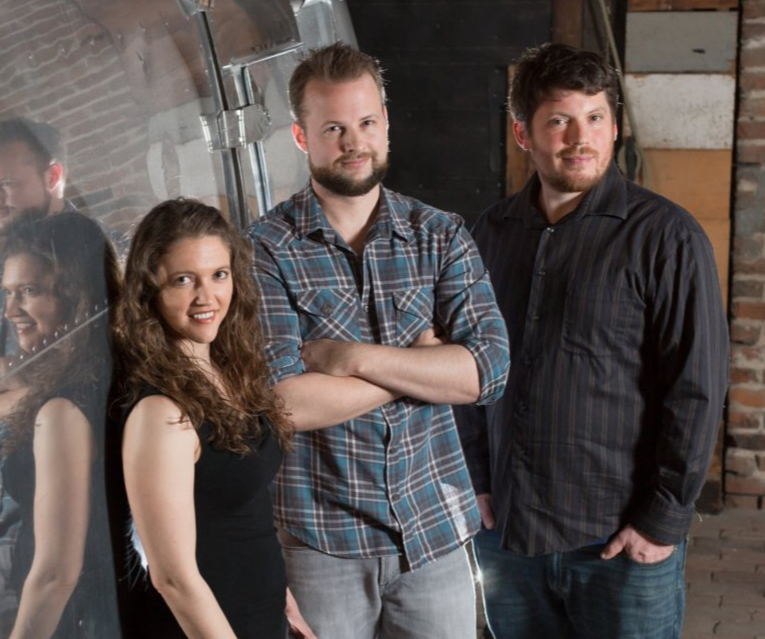 Music will begin at 8:00, with a can't-miss performance by our friends The Nite Owls, followed by The Summer Storms at 9:00. This is sure to be an entertaining evening full of good friends, good music and refreshing food and drinks! We'll be around afterward to spend the evening with all of you beautiful people who have supported us along the way. We'll have EPs for sale, and new hats & stickers.